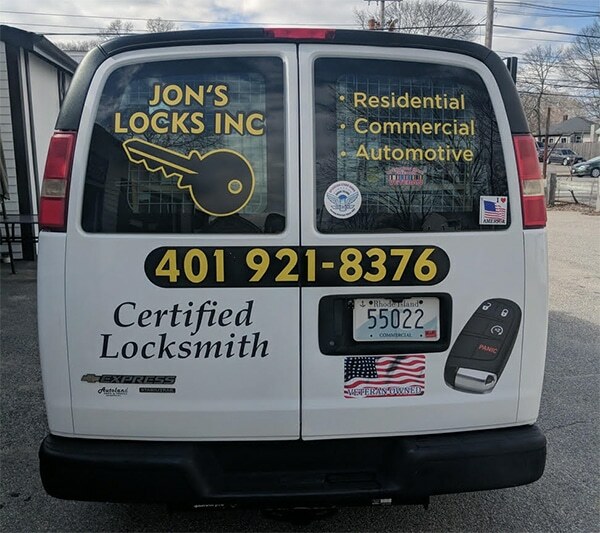 When you need a locksmith, Providence, RI, Jon’s Lock has you covered. Our shop is located at 2291 W Shore Rd. in Warwick, Rhode Island, and we welcome customers by appointment. We also have a mobile locksmith service if you need a locksmith that can come to you. Learn more about our services to see how we can help you with your locksmith needs. We take the security of your home very seriously. Even though crime in Warwick isn’t horrible, you still need to keep your family and belongings safe. In addition to installing locks at your home, we can rekey your current locks when you move in. This way, you don’t need to worry about the previous owners retaining keys to your home. If you live in Downtown Providence, crime is probably a bigger concern for you, and we understand that. We offer several front and back door locks for residential properties to help ensure your safety. If you’re a business owner or you own several rental properties, we can install push button locks and a a master key system to make things easy for you. A master key system lets you open the door to your business or rental homes using the same key, but you still have the ability to give your tenants a key that works for their home only. This way, each tenant or employee has a key to open doors they need access to, but you only have to carry one key with you. We also provide a variety of automotive locksmith services. So if you’re looking for an auto locksmith who can provide you with duplicate laser cut car keys, remotes, and key fobs, we have your back. When you choose Jon’s Locks for your locksmith needs you can rest assured that a registered, trained locksmith will handle your job. Using a locksmith without proper training raises the risk of damaging your locks — and locksmiths who aren’t certified also aren’t bonded and insured, so chances are, the cost of any damage caused will come out of your pocket. Don’t take a chance. Hire a registered, insured locksmith from Jon’s Lock’s to do the job. Whether you need duplicate keys made or you need a locksmith Providence, RI, who can come to your home or office, Jon’s Locks can help you. We proudly serve residents and business owners throughout Warwick and Providence, and we can handle all of your residential, commercial, and auto locksmith needs.